Scuba dive from Port Douglas with us and we’ll take you on a trip of a lifetime to witness this incredible natural phenomena. 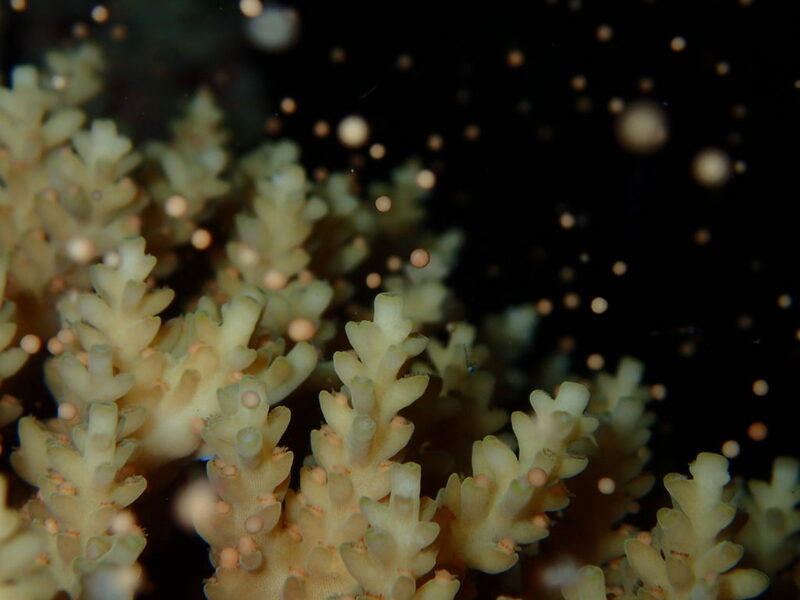 Coral spawning usually takes place in October, November and/or December depending on environmental conditions. Check our site or contact us in mid 2018 for further information. 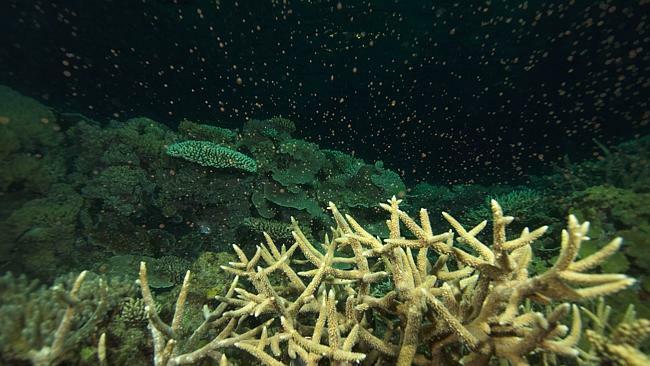 Do you know what coral spawning looks like? Have you seen it? How much do you know about the coral spawning process? It’s intriguing, beautiful and it’s possible to watch it first hand on the Great Barrier Reef with one of our coral spawning trips. Find out more facts about coral spawning here! Scuba diving the Great Barrier Reef is one of the only ways in the world to witness coral spawning with your own eyes. This is a totally unique and magical experience. Coral spawning is a relatively new discovery – it was only discovered in 1981 by scientists here while scuba diving the Great Barrier Reef! Over the last 37 years scientists have honed the ability to predict when and where it will occur each year in accordance with the lunar cycle. Do you know what coral spawning looks like? When the hard corals on the Great Barrier Reef spawn they expel millions of eggs and sperm into the water column which form what is known as a “spawning slick”. The appearance of spawning slicks have been described in many ways from “thick pink slicks” to “streams of champagne like pink bubbles” and “colourful underwater snow storms”. Spawning slicks can be meters wide and kilometres long – that’s a lot of potential new corals! To observe coral spawning when Great Barrier Reef scuba diving you will need to time your visit with the annual coral spawning calendar. The best time to scuba dive the Great Barrier Reef to witness coral spawning is 4 to 5 days after the full moon in October or November. Make your booking in advance as this is a very popular event and places sell out early. What triggers coral spawning once a year? There are three main factors which contribute to coral spawning. The first event is the maturing of the eggs and sperm inside the corals which is caused by a gradual (and seasonal) rise in sea temperatures. The second factor is that the corals release the eggs and sperm in coordination with the lunar cycle, and thirdly, the corals wait for darkness to begin spawning. This means you will need to go night diving on the Great Barrier Reef to observe the spawning event. How are new corals formed? Once the corals have released the sperm and eggs (forming a spawning slick), the eggs (non-swimmers) float up to the surface. The sperm are the swimmers and they swim up to the eggs to fertilise them. After fertilisation an embryo is formed within the first 24 hours. The embryo develops rapidly and after around 5 days the new juvenile coral will sink down to the bottom. Depending on where it settles it will take hold and grow into a strong, healthy coral. Coral spawning is one of the most incredible Great Barrier Reef diving experiences. It’s a phenomenon of nature which few people will ever see with their own eyes – but you can with one of our Blue Dive Great Barrier Reef diving trips! At Blue Dive, Port Douglas we pride ourselves on our level of service so you can rest assured that you’ll be diving the Great Barrier Reef in comfort and safety. Diving from Port Douglas gives us access to some of the best reefs for watching this incredible event. Do you want to combine your coral spawning experience with your next level of PADI Course? Ask us about our PADI Advanced Open Water course and get certified to dive to 30 meters while you are here! Did you know that at Blue Dive we specialise in running exciting privately guided scuba diving and snorkelling day trips and luxury private charters from Port Douglas to the unrivalled Agincourt Ribbon Reefs and to the stunning Opal Reef Complex? 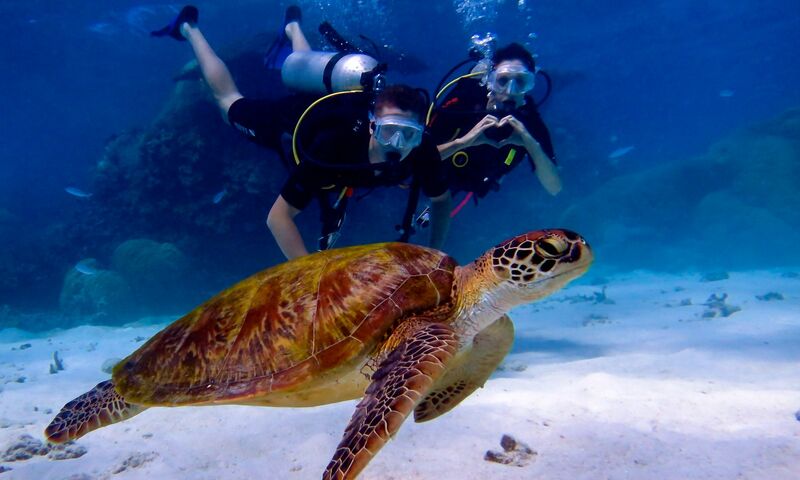 Why not schedule some extra days of Great Barrier Reef diving while you are here?